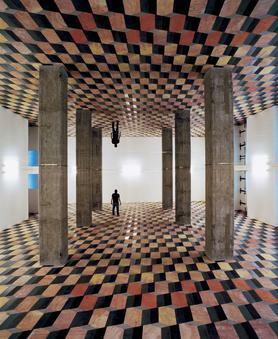 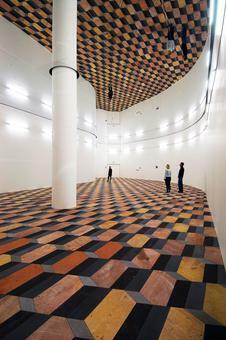 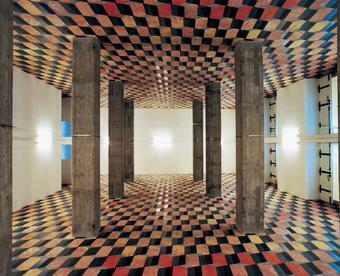 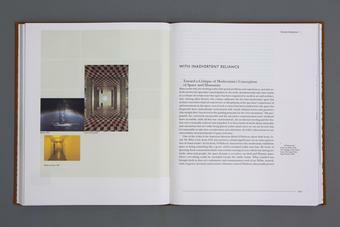 Similar to the Tirana house-painting project, 2003, this floor pattern is a two-dimensional manifestation of the quasi brick. 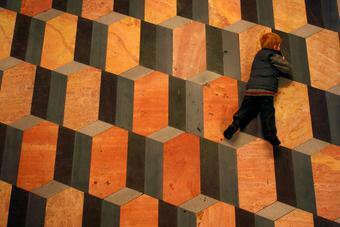 (The quasi brick is a twelve-sided polyhedron, based on naturally occurring quasicrystals, that utilizes both four- and fivefold symmetry.) 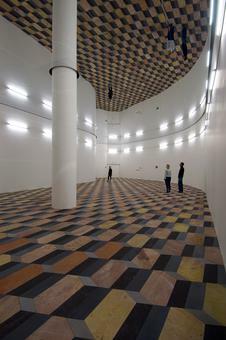 The pattern of the stone floor is made using four different types of volcanic rock – dolerite, rhyolite, blue basalt, and oiled black basalt. 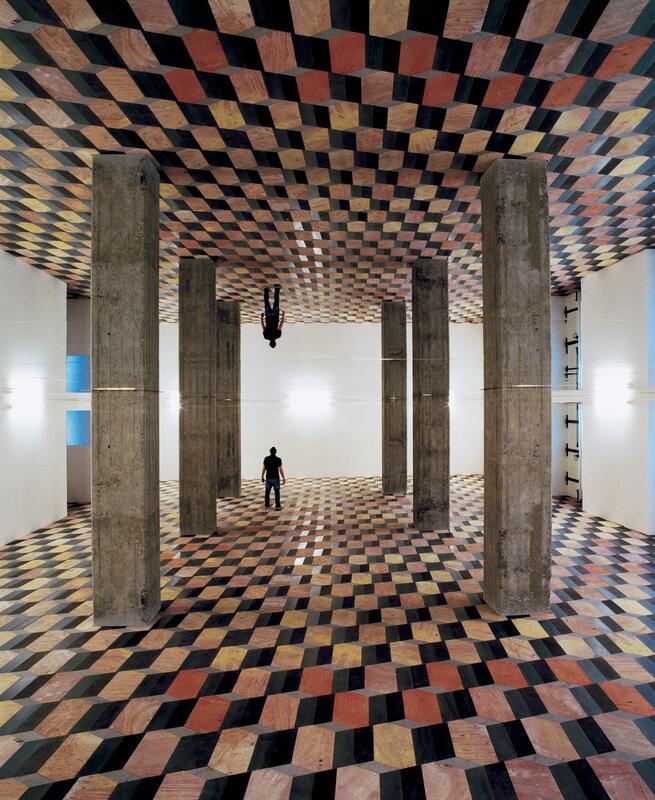 The ceiling is lined with mirrors that reflect the floor as well as the visitors.